I like grilled cheese and I like eggs, but I don’t like when the cheese is mixed in with the eggs. 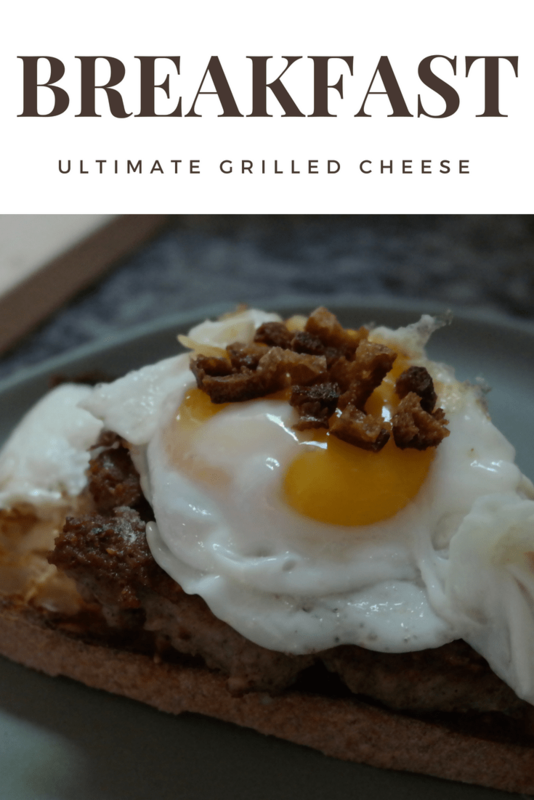 Call this a breakfast sandwich if you like, but I’m calling it the ultimate breakfast grilled cheese. I was recently sent some sausages to sample from Mulay’s Sausage based out of Colorado. When companies reach out to me, I’m often hesitant to accept samples unless I know it is a product I want to eat myself and share with my readers. After doing some research, I learned that Mulay’s uses no sugar, nitrates, dairy, msg, soy, nuts, eggs or antibiotics. I have nothing against those ingredients in some cases (except the antibiotics), but a good sausage doesn’t need any of that. I’m pretty sure that the ultimate breakfast grilled cheese with Mulay’s breakfast sausage is one of my new top breakfast sandwiches. You can make this for a crowd easily as well or you can make it for your breakfast and save the rest of the sausage for another meal. We used the breakfast sausage the next day for dinner in fried rice and it was amazing! This breakfast sausage grilled cheese needs no extra seasonings because the sausage is so well seasoned. It has a nice little heat kick to it as well. Set aside a plate with a paper towel on it. Heat a medium-sized frying pan on the stove on medium low. While the pan heats up, shape your 1/2 cup of Mulay's ground Breakfast Sausage into a patty about 1/3 of an inch thick. If your toast is long, you can make the sausage oblong, or if your toast is square make it round or square. 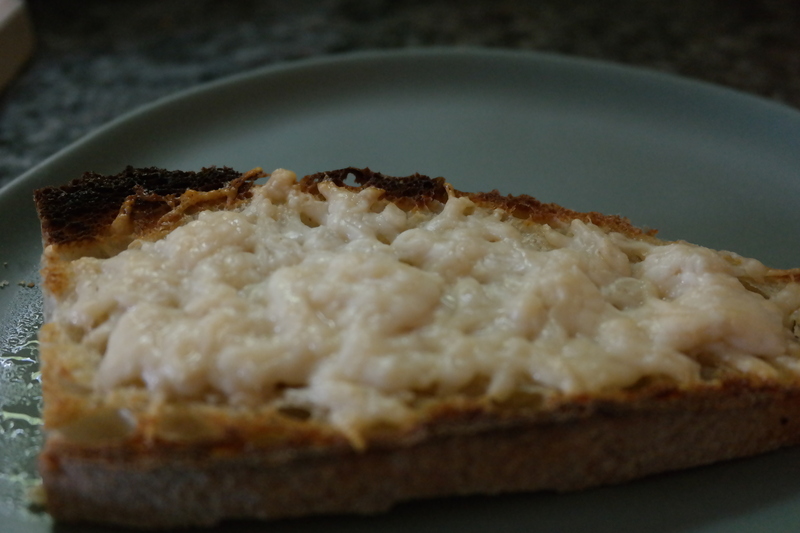 Put the grated cheese onto your lightly toasted bread, and melt the cheese in the broiler. Once the sausage, is done, take it out of the pan and set it aside. You can drain it on a paper towel if you like. Take the 1/2 piece of bread that you have set aside and cut it into tiny little croutons. About 1 cm square. Toss the croutons into the pan that cooked the sausage and toast the croutons in the sausage grease. Remove when golden brown and let drain on a plate with a paper towel. Fry your egg as you like it in the same pan that cooked the sausage and croutons. You can wipe it down and add some butter or vegetable oil, or you can just use the sausage grease. Top the grilled cheese toast with your sausage, then your egg and sprinkle the croutons on top. Grab your cup of coffee and the newspaper (or let's face it your phone) and get your day started. I used a cheese that has a nice salty bite to it almost like a young Parmesan. It is called Midnight Moon by Cypress Grove. You can use any cheese you like, but I recommend a Comté or sharp cheddar. Be sure to keep an eye on the broiler so you cheese and bread do not burn. This is how small I cut my croutons. They act as a garnish for a little crunch. They also have an almost bacon bit quality to them because they absorb the flavours of the Mulay’s Breakfast Sausage. You can use any cheese you like. Sometimes I go classic with an American Cheese slice (I know I know- it’s gross but sometimes it’s just what you need #salt #salt #salt). I usually go with a sharp cheddar, a Comté or something like this Cypress Grove Midnight Moon cheese. It smelled good and was on sale at Wilson Farm so I went for it. You can’t have a grilled cheese without bread and cheese. 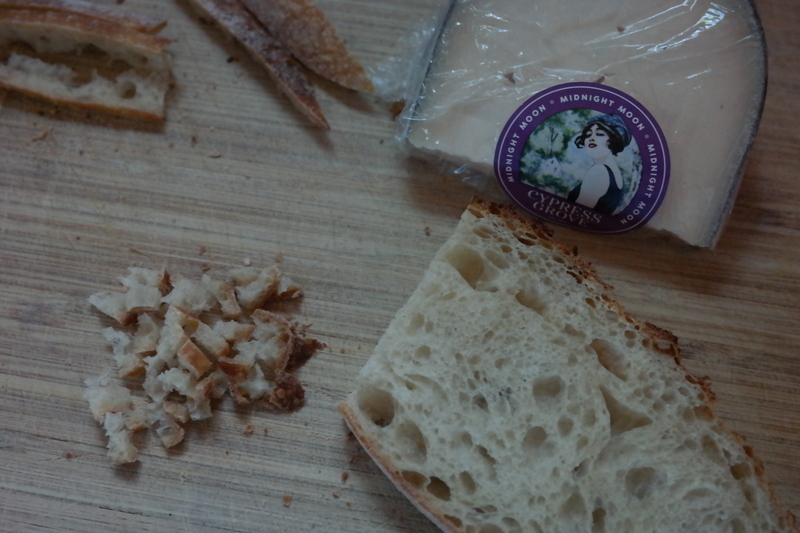 I use this goat cheese for my ultimate breakfast grilled cheese with Mulay’s Breakfast sausage. I like my toast very crunchy. When I make a grilled cheese I tend to do it in the toaster oven. I first toast my bread lightly so it is already crisp. Then I top the toast with the grated cheese. I prefer grated to sliced because it is easier to spread all over the toast and will melt more evenly. To be honest, my favourite parts of the toast are the burnt bits by the edges. Whether you like it well done or lightly toasted, you will need to keep an eye on the broiler because the grilled cheese can go from perfect to ruined in seconds flat. Broil the cheese but don’t let it go unsupervised or it can burn. Mulay’s Sausage is made with just a few ingredients, which is as it should be. There are no added sugars or preservatives or odd flavourings. I also like that the company works with only a handful of family farms. They use Heritage Breed pork and work with fourth and fifth generation family farmers from a network of 60 families. The results are a consistent product full of flavour. 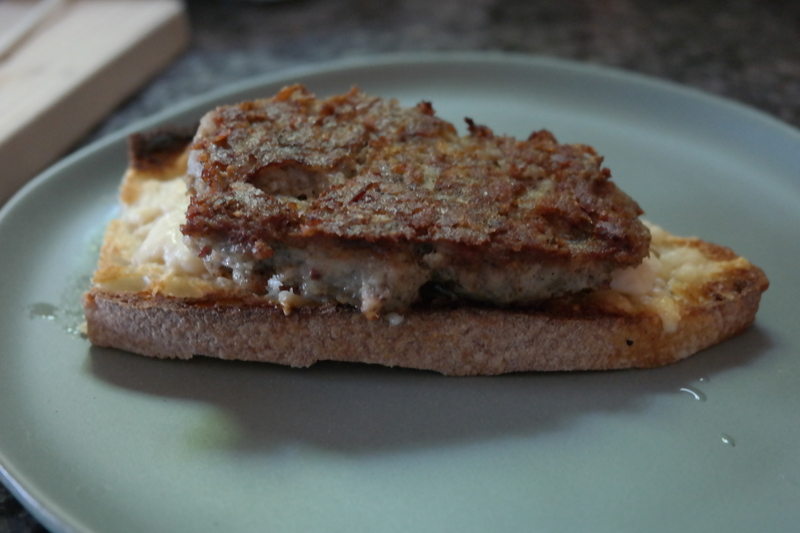 Mulay’s Breakfast Sausage is full of flavour. The meat has a nice quality to it and I trust the provenance of the meat. This is definitely the ultimate grilled cheese for breakfast. I’d pair it with a cup of coffee and some fruit or even a little side salad of arugula or greens. This will keep you going all morning. It can also be served for lunch or dinner of course too. 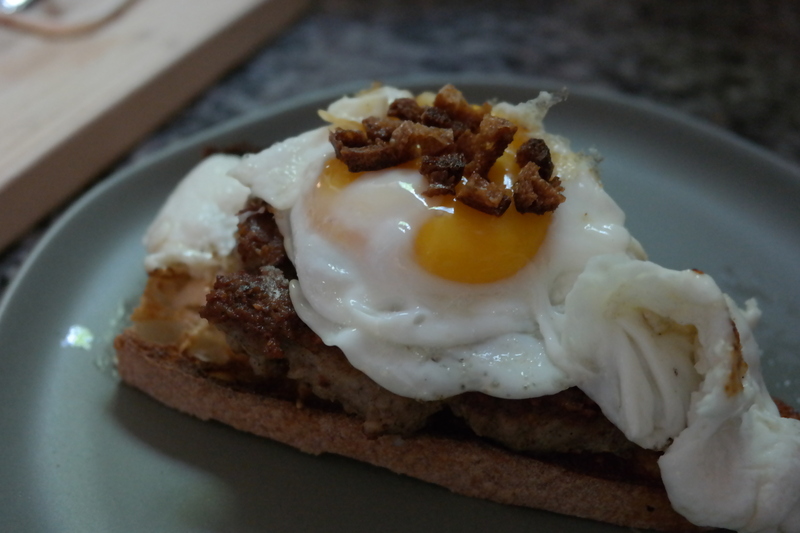 Mulay’s Breakfast Sausage has a little spicy kick to it so it holds up to any meal. I’m hungry. Who is ready for breakfast? Next I’m cooking up some stuffed potato skins, grilled potatoes topped with sausage, and a freekeh sausage bowl. *Farmers To You is offering $35 of groceries for new customers through May 27th, 2018.